Phew, I’m knackered. Just been on my bike round the block. All in the name of PMB, the things I do. It’s all about the newest low-cost hand sets. Powered by bike! ‘The charger can be fitted into any phone with a 2 mm charger jack, uses a dynamo to generate electricity from the movement of the wheels, bicycles are the most widespread means of transport in many markets around the world, so this is just one more benefit to be gained from an activity people are already doing, to begin charging, a cyclist needs to travel around six kilometres per hour (four miles per hour), and while charging times will vary depending on battery model, a 10 minute journey at 10 kmh produces around 28 minutes of talk time or 37 hours of standby time. 1) It’s expensive: Buy the top-of-the-range Blackberry or Android handset and you will still pay a lot less than the extortionate prices Apple charge. If the iPhone weren’t made by Apple, networks would have had to start giving it away on £30 a month tariffs years ago. 2) It’s anti-technology: When the iPhone launched it was cutting edge – now as other manufacturers announce, for instance, that you can use their phones as shareable wifi hot spots, Apple says no. Not because of some spurious “user experience” argument, but because of economics. When will they learn that it’s customers – supply and demand – that should dictate feature availability? 3) No Flash: The iPhone, the phone that promised to put the web into everybody’s pockets, can’t even show you most of it, because it can’t handle Flash graphics. Google Android can, in the latest version (OS 2.2), and it’s going to be available free on a lot of budget tariffs. 4) No multitasking: Tried instant messaging on an iPhone? Oh yes, you have to open the app to see if you’ve got a message. Genius. If Apple announces multitasking next it will be an improvement – but there’ll be no apology for the way it’s treated customers in the past, and no guarantee it won’t behave similarly shoddily in the future. 5) Its battery life is terrible: This isn’t a problem unique to Apple, but look at phones by companies such as HTC – multitasking, better cameras, better screens, all draining their batteries far more – and yet the iPhone, with its undemanding technology, still only offers equal performance. 6) Developing apps for it is costing you money: The special version of the BBC iPlayer, of Natwest Phone Banking, of Eon’s meter reader – developing all of these came out of money that could have been channelled away from a self-important minority and towards more generally useful ideas. 7) It comes with offensively bad headphones: Sit next to somebody using the original iPhone or iPod headphones and you can hear everything they can. It’s another example of Apple charging premium prices, but delivering a dressed up, budget product. 8) It’s not very well designed: Use the iPhone as a phone and it’s not got great reception, nor is it particularly comfortable to use for long periods. It’s a computer that happens to have a phone bolted on – jack of two trades, but master of neither. 9) It charges for satnav: In an age when Nokia and Google Android provide completely free mapping and satnav facilities, the cheapest way you can turn your overpriced iPhone into a satnav is with a £19.99 app. Bargain. 10) Those iPod docks are holding back better technologies: As every hotel increasingly thinks it should provide iPod docks, the momentum behind this technology is only growing. But if it wasn’t for the iPod and iPhone’s ubiquity, there’d be more wifi radios, more new technologies and a range of different options, competing and driving innovation. It’s all been rather busy at HQ. What with moving house and several international business trips – it’s all go! I recently returned from Jakarta, Indonesia, where there was a lot of interest in our Social Networks Solution software, the take up for this will be fantastic, so anticipate a return trip in the next few days to cross some ‘t’s etc… I’ll probably call in on a new client in Cambodia, and the CommunicAsia Fair in Singapore. Seems the pull to the Far East has overtaken you guys in Africa. Just when there was a little football tournament going on there as well! COME ON THE DUTCH! Anyway, can you believe it? It’s our birthday. We are one year old this week. Feels like ten years. Our feet haven’t touched the ground, and hand on heart we couldn’t have asked for a better start. Business has snowballed, far exceeding our expectations, especially in the current financial squeeze. So a big thank you to all our customers out there. As my friends in the Redskins might say – Keep on keeping on. Maybe we should have a party to celebrate? Signing off here, have a tender to check for tomorrow. 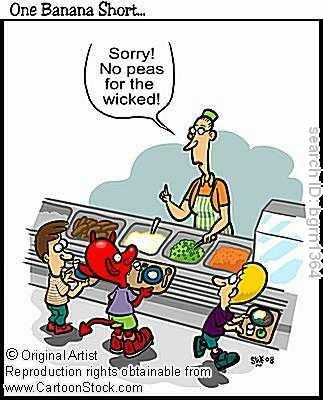 No peace for the wicked….